We show step by step on How To Repair your home yourself including squeaky floors, repairing walls, faucets, lighting, painting and electrical issues. We will bring you many Tutorials and inspirational diy Ideas for Fun Projects like making a coffee table from a pallet and make a usb charger combo lamp. We will also be adding fun and easy woodworking projects for gardening projects such as our Step By Step DIY vertical garden tower and our fun raised garden planter. We will keep bringing you the best DIY Repair Tricks and Home Maintenance Tips. Check back every so often for more of our new projects and Helpful DIY Tips. Browse our website by using the RECENT DIY “HOW TO” ARTICLES on the right sidebar or lower on this page. These helpful articles will show you how to repair an appliance yourself. You can also use our search bar in the top right sidebar or lower on this page. Search with your appliance name, appliance model number, and what problem you are experiencing. The search bar will scan through our thousands of pages and find the page with the info you need. You can then use the information we have provided to repair your washing machine, clothes dryer, refrigerator, dishwasher, or other appliance. We sometimes display part suggestions to fix the most common appliance issues. You can use that info to get the part that you may need to repair your appliance. Once you have read through the article, you can then use the form on the bottom of the page to ask a question if you get stumped. We will always try to reply back within 24 to 48 hours. Please be aware we receive hundreds of questions daily. Please have patience as we get back to you after we have researched your appliance issue. If you need assistance with any type of Appliance Repair Help, ask your question with the problem you are having and the model number of your appliance and a professional will assist you. 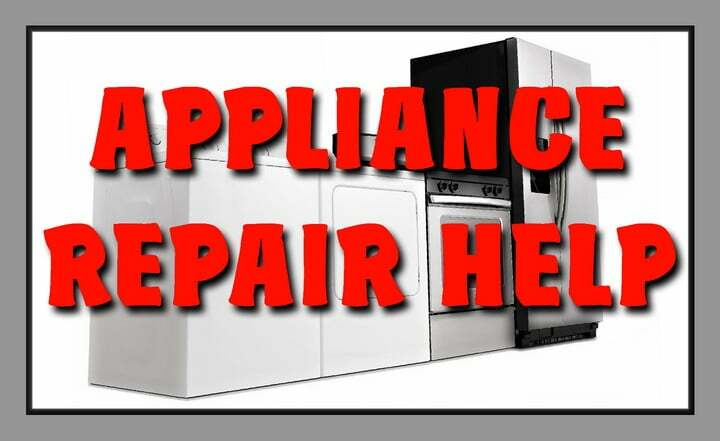 Get Expert Advice To Fix Your Appliance.